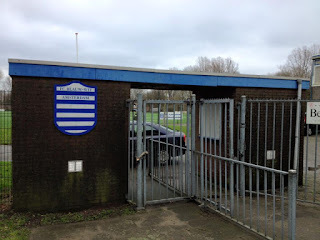 Blauw-Wit Beursbengels is an amateur football club from the Dutch capital of Amsterdam, who were formed on the 10th May 1902, following a meeting at a warehouse on Fred.Hendrikstraat. It was decided that the club name would be Victoria. 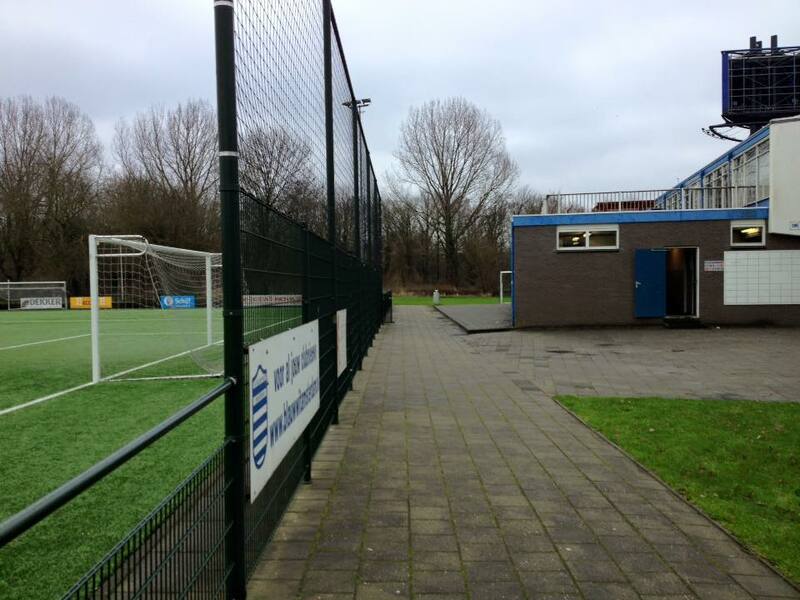 N. Walstra became the first chairman of the club, with games being played in a public area on Hugo de Grootstraat. This was soon replaced by Zwarte Land where Fred Hendrikplantsoen now stands. 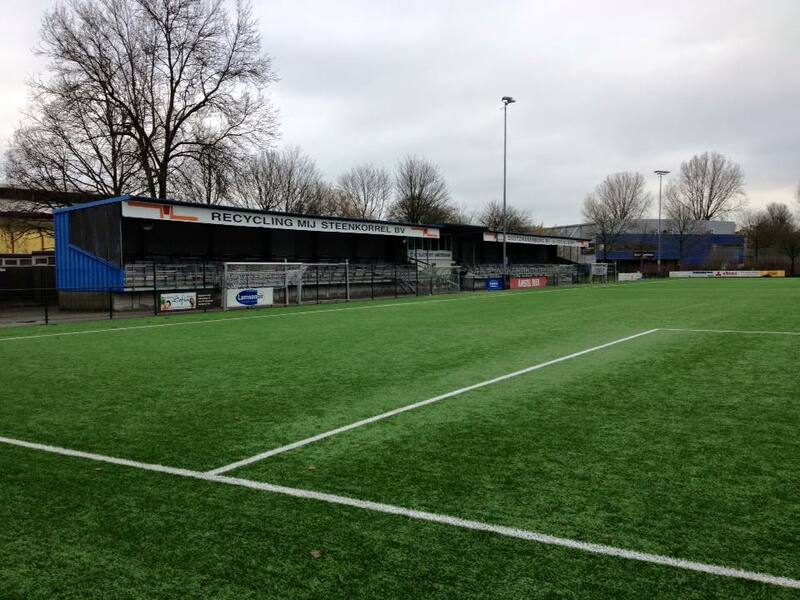 Victoria were unable to join the KNVB as they did not have a proper ground. They were prevented from playing on occasions as one of their rivals; V.I.O.S had a player whose father was a policeman who made things difficult for Victoria. In 1907 a merger took place with the Holland club. The Dutch FA allowed the club to play at 3e klasse. The club played in blue and white hooped shirts, and were known as The Zebras. It was from this that the club became known as Blauw-Wit. 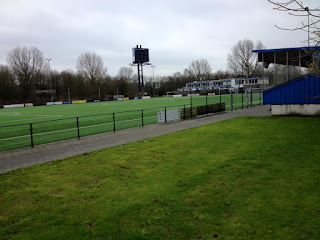 Matches were played near to Hembrug.Aantal with promotion to 2e klasse being achieved. In 1911 Blauw-Wit rented a ground at the Watergraafsmeer complex on Middenweg. Five years later the club played their first game against rivals Ajax. A year later it would be a match against Ajax that would seal promotion to 1e klasse in controversial circumstances. It was claimed that a shot from Grootmeyer of Ajax had been saved behind the line by Blauw-Wit goalkeeper Schindler. Ajax appealed after the game but were rejected, leaving Blauw-Wit to win promotion under revolutionary English coach Jack Reynolds. Reynolds caused quite a furore in 1920 when he departed to lead Ajax. In 1922 Blauw-Wit moved into the Harry Elte Stadium and gained access to training pitches and a new clubhouse next door. The new venue saw many a battle both on the pitch and on the terraces, before the club moved into the Olympisch Stadion following the 1928 Summer Games. Henry Teunisse composed a new club anthem; The Blue White-March. The club became district champions, before losing out to Go Ahead in the national championship play-offs. 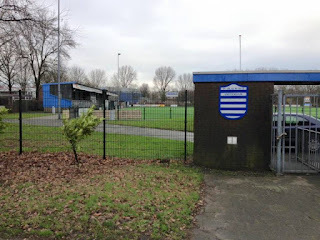 Another district title was collected in 1930 as support for the club mainly grew from the Kinkerbuurt area of the city. In 1940 the team won won of the 1e klasse divisions, ending up as national runners-up to Feyenoord, before collecting another district title two years later. 1950 saw the next district title, before finishing as Dutch runners-up to Limburgia before retaining the district championship crown the following year. In 1954 professional football was introduced into the Netherlands with Blauw-Wit competing at the highest level. They were given a severe set back as they remained amateur while most of their players jumped ship to the professional outfit; BVC Amsterdam. In 1955 the club introduced the first football lotto to raise funds, leading to the opening of a new clubhouse three years later. In 1960 the team were relegated to Erste divisie after a play-off defeat to Elinkwijk at De Kuip in Rotterdam. 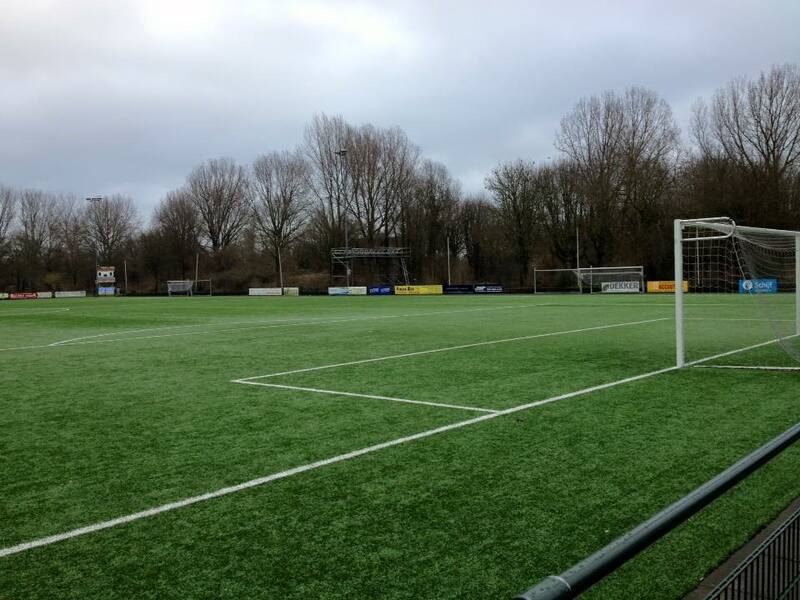 The club employed new coaches and brought in new players which led to an immediate return to Eredivisie. Throughout the onset of the professional era Blauw-Wit also retained an amateur team. 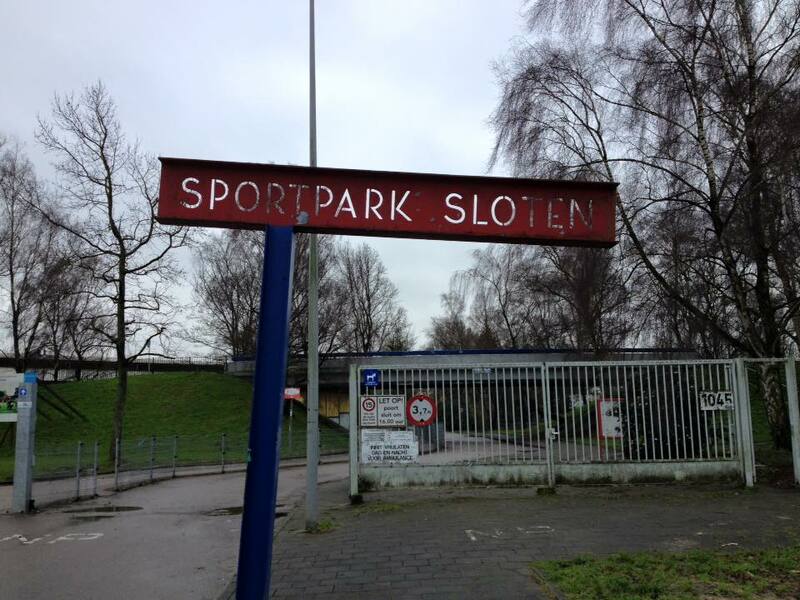 They moved to Sportpark Sloten in 1965. They won promotion to the amateur Derde klasse in 1970. In 1972 the professional section of the club merged with DWS to form FC Amsterdam in an attempt to challenge the dominance of Ajax in the city. In 1974 Volenwijckers joined forces with the new club. 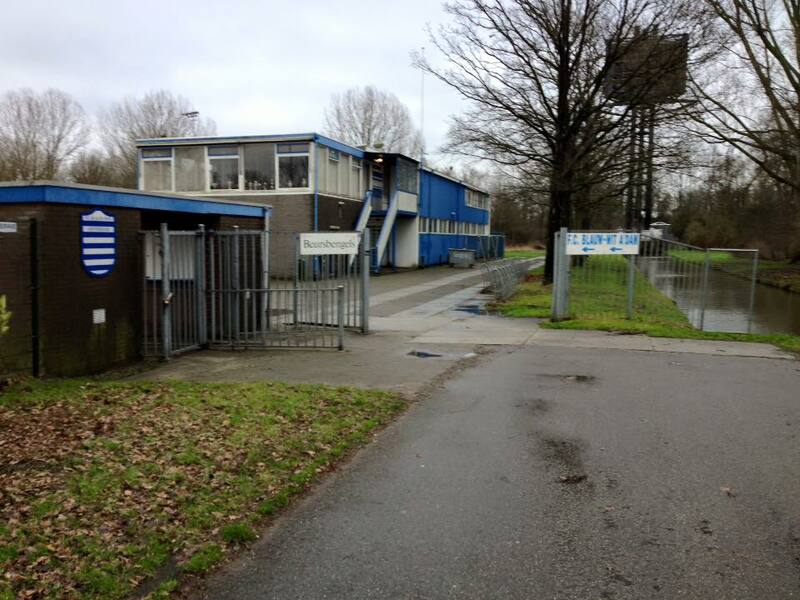 Meanwhile Blauw-Wit began to prosper in their own right at Sloten. They won promotion to Erste klasse in 1975 before winning elevation to Hoofdklasse two years later, which was the leading amateur leagues of the time. ‘de Zebra's’ went back down to Erste klasse in 1980. They were still fairing better than FC Amsterdam who were dissolved in May 1982. In 1987 Blauw-Wit regained their Hoofdklasse spot following a title win. 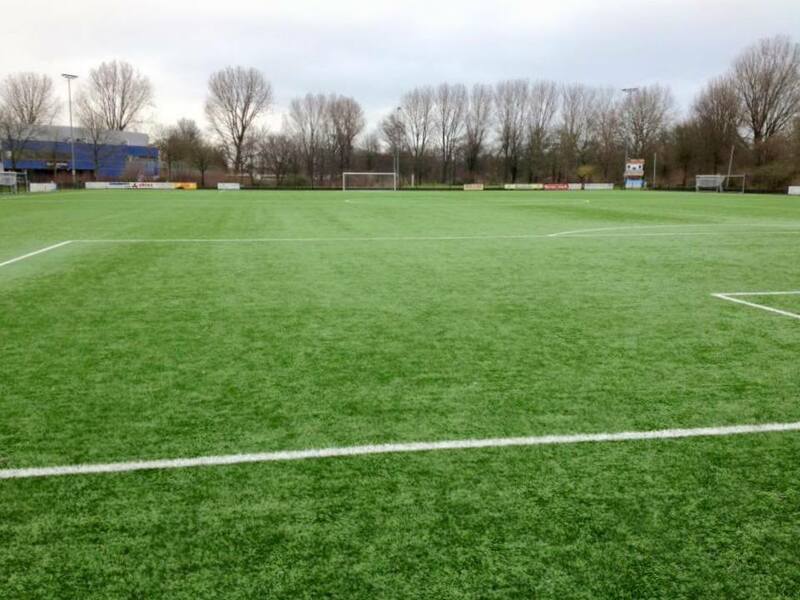 The pitch at Sportpark Sloten was rotated 90 degrees in 1990. The change of geography didn’t bring any luck as the team were relegated the year after. Worse was to come as two further demotions saw de Zebras playing Derde klasse football by 1996. 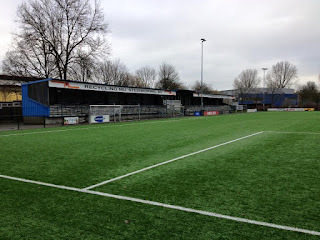 They went back up one step with a championship win in 1999 before a merger in 2001 with Osdorp-Sport saw the club renamed as Blauw-Wit Osdorp, leading to a link up with once bitter rivals Ajax. In 2002 the club celebrated their centenary before other local clubs; KBV, Neerlandia/SLTO and Sparta Amsterdam all joined forces with Blauw-Wit Osdorp as they struggled through a combination of lack of finances, volunteers and facilities. 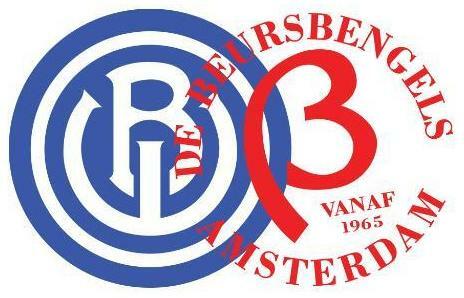 The club was named Blauw-Wit Amsterdam. A place became available in the Hoofdklasse, which Blauw-Wit grabbed. They were relegated back to Erste klasse in 2004, but following yet another successful international tournament the club were able to extend their canteen and changing rooms while building a new terrace. 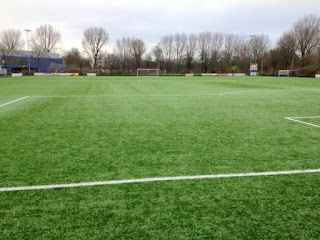 In 2008 the pitch at Sloten was converted to an artificial surface. The Gestion Copa Amsterdam invitational cup was held at the club for the last time in 2009, much to the disappointment of all at the club as it was moved to the Olympisch Stadion. In 2011 Blauw-Wit joined the newly introduced Topklasse, the highest ranked amateur leagues and the third national tier. 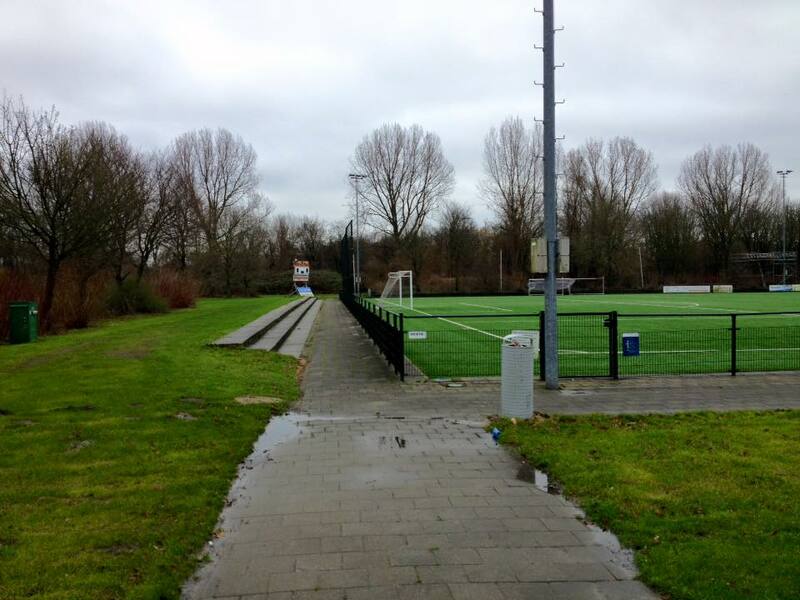 Subsequent relegations saw the club in Derde (third klasse) Sunday football. 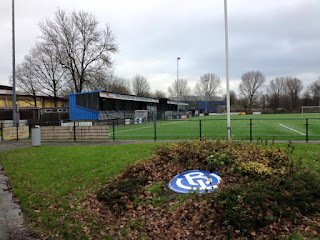 Another merger came about in the summer of 2015 as VV Beursbengels joined forces with the club being renamed Blauw-Wit Beursbengels, playing in the Saturday Derde klasse. I awoke at the plush flat of my pal Dave Kenwery in not too a pristine condition. We had really hammered Australia Day before and after the Ajax game. It was getting on for 3am when we eventually got home. It was no good sitting there moaning. I had places to go and see. DK dropped me by Centraal station before heading to work. I did a bit of sightseeing while I regained the will to live. My fantastic host had dropped my print off ticket for the following nights Feyenoord game during our frivolities, so I had to find an internet café to reprint it from an email. With my task completed in a very tiny internet café I headed to the station, where my pre planning had told me that I needed to catch the number 2 tram to Oudenaardeplantsoen. From there it was a short walk down paths next to the small drainage dikes to Sloterweg, where I found Sportpark Sloten. 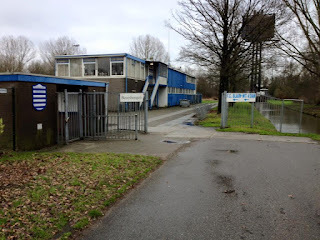 I walked past the velodrome and found the home of Blauw-Wit, taking pictures at the far end first; just in case I couldn’t find a better angle. It was a tidy enough venue, with a slightly raised bench seated stand down one side in two parts, being separated by a glassed in section in the centre. Opposite was a raised TV gantry on the half way line. The rest of the ground consisted of flat open concrete and grass, with the artificial playing surface offering maximum opportunities for matches at the venue. A large clubhouse and changing facilities was behind the west goal. 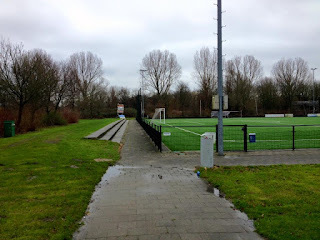 I walked back and then down Johan Huizingalaan under the A4 motorway to catch the 197 bus to the Olympisch Stadium.